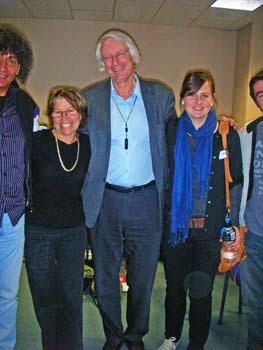 Please see also the conversation video-taped for the World Dignity University initiative with Michelle Brenner and Carmen Hetaraka on 31st August 2011, in Dunedin. Please see an interview with Brian. 31st August 2011, Day Three of the conference. 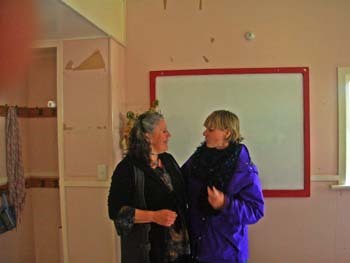 The conference is "on the move": A visit to the local Marae (Maori community house) and a meeting with local Maori. 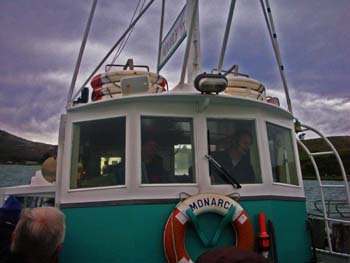 31st August 2011, on Day Three, the conference was "on the move": A trip on the Monarch up the Otago Harbour to witness Albatrosses and other wildlife. We used Adobe Connect as a video platform for selected sections of the conference as listed below. To determine the exact time in your time zone, you needed to go to a time converter URL, such as timezoneconverter.com, enter the Adobe Connect meeting room for this conference , select the "Enter as a Guest" option and type in your name. Then you were admitted into the video conference. If you could not join us in real time, please note that we have recorded parts of the sessions so you can view them at your convenience. These will be available after the conference. You might want to learn about Adobe Connect before joining us. Lasse Moer, Chief Engineer for Audiovisual Technology at the Faculty of Social Sciences of the University in Oslo, who hosted the Adobe Connect Launch of our World Dignity University Initiative on 24th June 2011, sent his Greetings to the Conference Participants on 26th August 2011, and he was with us for parts of our conference from Oslo via video connection, even though it was night time in Oslo! Thank you dear Lasse! 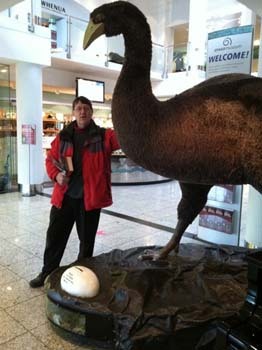 Dear HumanDHS Friends: My name is Brian Ward and I have been an associate of HumanDHS since 2006. 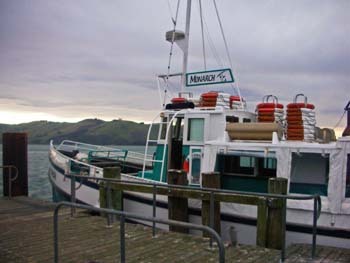 As a New Zealander, living in the South Island of New Zealand, I look forward to meeting everyone at the 2011 HumanDHS Conference in Dunedin! 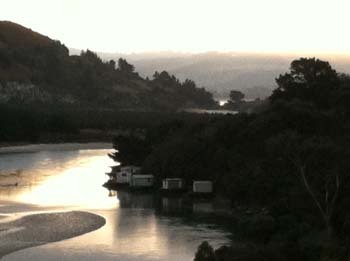 May I recommend the wider experience of the South Island both with its friendly people and beautiful scenery! 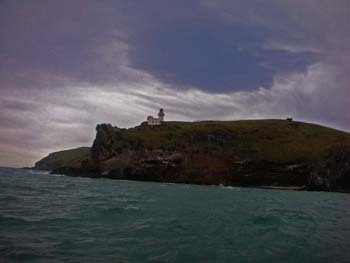 For some information for intending visitors please google ‘South Island New Zealand’ or have a look at the links: http://www.dunedinnz.com/visit/home.aspx, or http://www.dunedin.govt.nz/isite. See also, as interesting background material, the New Zealand Treasury Paper 11/02 Working Towards Higher Living Standards for New Zealanders. 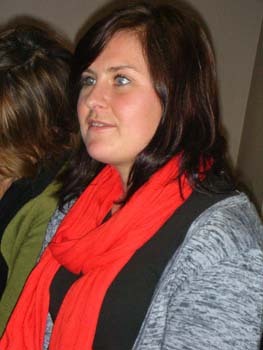 You can learn more about me at the website www.fivepower.co.nz or watching my introductory video. 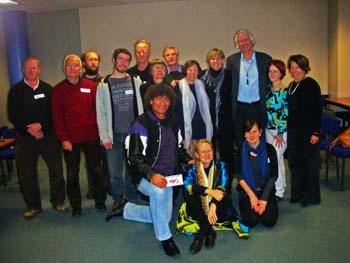 Please see also the video-taped conversation with Brian Ward for the World Dignity University initiative that took place on 5th September 2011, in Timaru, New Zealand. The interviewer is Evelin Lindner. The discussion touches on systems thinking, sustainable business principles, and equal dignity. 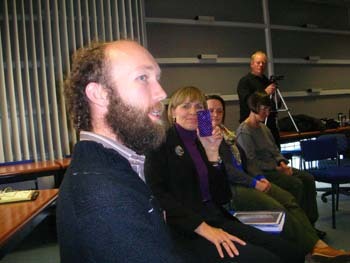 Brian is the sole director of a startup business in the renewable energy field (in New Zealand). Lasse Moer video-taped Inga Bostad's personal message to the conference participants on 26th August 2011. In the light of the terrible 22/7 terror attacks in Oslo and Utøya, Inga Bostad encourages and urges everybody to engage in dialogue. She urged the conference participants to work on the World Dignity University Initiative during the conference. You had to fly to Dunedin on the South Island of New Zealand, and then proceed to the University of Otago in Dunedin, room Commerce 2.20 and Commerce 2.19 (the Commerce Building is located in the norht-east region of the Dunedin campus, on the corner of Clyde & Union Streets). Campus of the University of Otago in Dunedin, New Zealand, see information about appropriate temporary accommodation for conference attendees. Please read An Appreciative Frame: Beginning a Dialogue on Human Dignity and Humiliation, that Linda wrote for us in 2005. 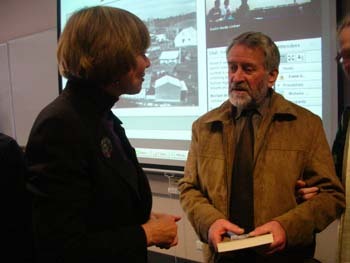 Kevin Paul Clements holds the Chair in Peace and Conflict Studies, and is the Director of the newly-founded National Centre for Peace and Conflict Studies (see also its podcasts) at the University of Otago in Dunedin, New Zealand, since January 2009. 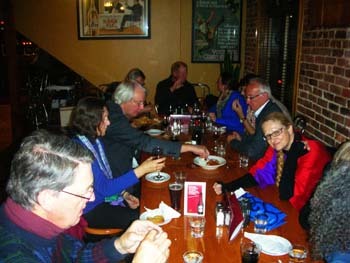 Prior to that, since September 2003, he was the Director of the Australian Centre for Peace and Conflict Studies (ACPACS), after being Secretary General of International Alert, in London, England. International Alert is one of the world's biggest NGO's working on Conflict Transformation in Africa, the Caucasus, Asia and Latin America. Before that, he was the Vernon and Minnie Lynch Professor of Conflict Resolution and Director of the Institute for Conflict Analysis and Resolution at George Mason University, Fairfax, Virginia USA, and Head of the Peace Research Centre at the Australian National University, Canberra Australia, as well as Senior Lecturer in Sociology and Coordinator of Peace Studies at Canterbury University, Christchurch, New Zealand. In the mid 1980s he was Director of the Quaker United Nations Office in Geneva, and a member of the New Zealand Delegation to the Non-Proliferation Treaty Review Conference. He has been a Visiting Professor /Researcher at the University of Colorado at Boulder, USA, the Institute of South East Asian Studies in Singapore, and the School of Development Studies, University of East Anglia. He was a lecturer in Sociology at Hong Kong University in the early 1970s, and a Post Doctoral Fellow at the Institute of Commonwealth Studies, Oxford University. Kevin is a Past President of the International Peace Research Association, President of the IPRA Foundation and Secretary General of the Asia Pacific Peace Research Association. 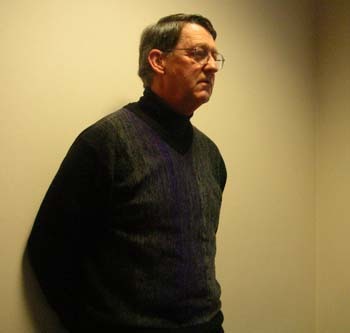 He was a member of the NZ Government Defence Committee of Enquiry in 1985 which explored how New Zealand could defend itself without nuclear weapons. 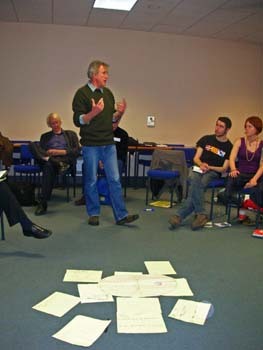 Kevin was the inaugural President of the European Peace Building Liaison Organisation in Brussels and a Board Member of the European Centre for Conflict Prevention. 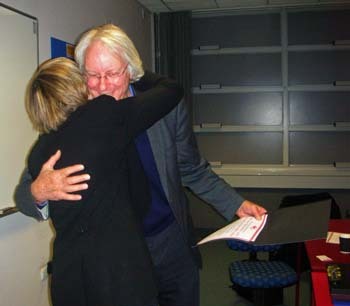 He edited the Australian and New Zealand Journal of Sociology in the late 1970s and is currently on the Editorial Boards of Peace Review, Global Change, Peace and Security, and Peace and Policy. 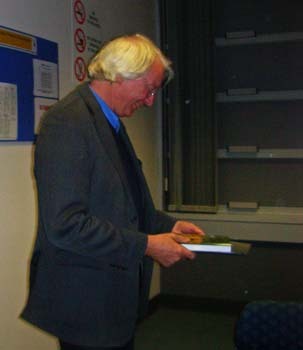 He has been an advisor on defence, security and conflict issues to a range of governmental and non-governmental organisations in Australasia, the United States and Europe and Chairman, Facilitator and keynote speaker at many international Peace and Conflict Resolution conferences over the past 20 years. He is on the International Advisory Board of the Karuna Center for Peacebuilding Amherst Mass USA, Global Action to Abolish War, the International Peace Research Association Foundation and (Ex Officio) on the Executive of the International Peace Research Association Council. See also his work with the Global Peace Index (GPI). • 23th August 2011, Evelin Lindner with Will Pollard in a ten minutes pre-recorded telephone interview, News & Editorial Director, 95bFM. See the podcast on www.95bFM.com. Listen to the MP3 file of the interview. 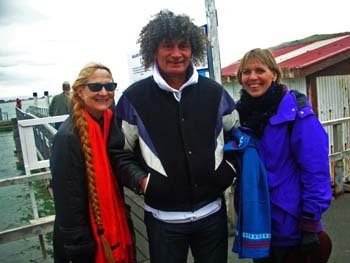 • 25th August 2011, 10.00 am, Com or Chaos - Evelin Lindner, with Marvin Hubbard for one hour in the studio of Otago Access Radio, previously known as Toroa Radio, Dunedin. Marvin Hubbard presents Com or Chaos as"an hour of interesting and eclectic but often topical radio. Marvin interviews a wide range of people from religious leaders and teachers through to ecological activists and touring musicians." • 28th August 2011, Sunday Morning - Dr Evelin Lindner. 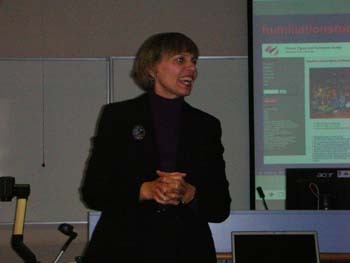 Dr. Evelin Lindner is a specialist on humiliation studies and believes that the corrosive effect of humiliation is the cause of much of humanity's troubles. (19′27″). Sunday, 28th August 2011, 8.40 am, Evelin Lindner in the Dunedin studio of Radio New Zealand with Chris Laidlaw (from the Wellington studio). 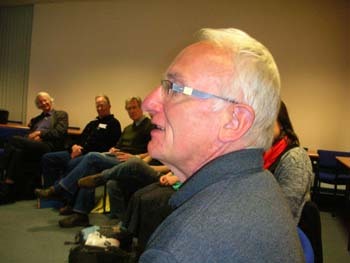 Chris Laidlaw: "Discussion, features and ideas until midday (produced by Christine Cessford). Chris Laidlaw presents a thought provoking range of interviews, documentaries and music over four entertaining hours each Sunday Morning. Highlights include Insight at 8.15am, Mediawatch at 9.05am, extended interviews at 8.40am and 9.30am and after the news at 10am, and at 10:40am there's Trevor Reekie's Hidden Treasures, followed by listeners' feedback at 10:55am. Ideas rounds off the morning between 11am and midday." Listen to the MP3 file of the interview. 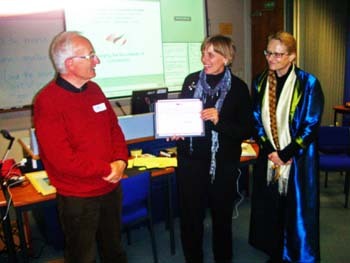 • Linda M. Hartling usually welcomes everyody and sets the frame of our conferences within "Appreciative Enquiry" (until his passing in 2007, she did this together with Donald Klein). Please read An Appreciative Frame: Beginning a Dialogue on Human Dignity and Humiliation, that Linda wrote for us in 2005. • Please click on the picture or here to see all the photos of Day One from Evelin's camera. • For more than 25 years, Taura Carmen Hetaraka has applied his extensive knowledge of tikanga in developing programmes throughout the social and criminal justice sectors. 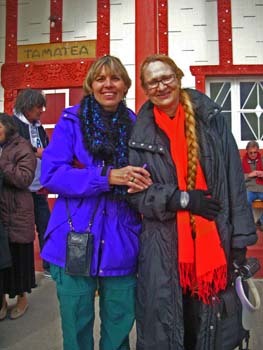 In 2002 Carmen was one of two nationwide delegates representing New Zealand on an International Cultural Advisory Committee for Healing Our Spirits: World-Wide: Indigenous Drug and Addiction conference in Albuquerque, New Mexico. Carmen is a fluent speaker of Maori and has developed a number of indigenous based programmes that are applied within a number of New Zealand Prisons and schools. Furthermore, Carmen is the core cultural expert - working with several native Hawaiian organizations in developing, implementing, and evaluating a cultural education curriculum based on Hohourongo (Ho’oponopono). • Holistic Law Approach to Indigenous Incarceration: Cultural Cognitive Restructuring and Restorative Justice Practices is an article that was written by Michelle Brenner with acknowledgment to Carmen Hetaraka for insights and correct use of Maori language. Acknowledgment and gratitude to Kauila Clark and all the active bearers of Hawaii for their service and practice in traditional Ho'oponopono. Published by Mediate.com, republished here with the permission from the author. - the questionnaire to the Right of Peoples to Peace that Michelle wishes to discuss. - Children of Peace and War: From Child Soldiers to Peace Education chaired by Dot Maver, and Ana's Playground. - A video about Restorative Justice and schools, from the work Michelle did when she was at Marrickville Council. "This is an edited version of Walk the Talk, an inside story of Rozelle Public Primary School in Sydney Australia. 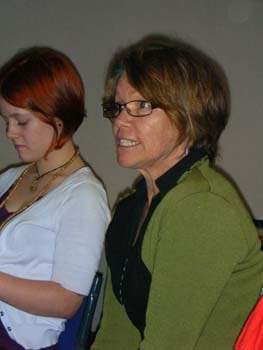 Rozelle at the time of this video making was a world wide leading example of the possibility for social change. The school being an inner city public school was transformed through the leadership of the principal and the initiatives that she supported. 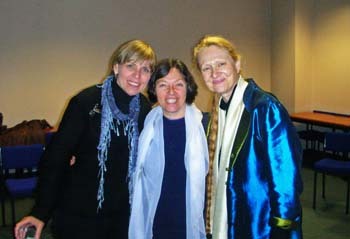 Restorative Justice and Alternatives To Violence joined together as a foundation for experiencing peace education as a living system within the school environment. 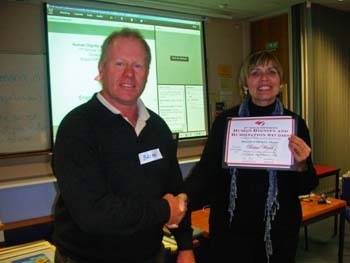 Both Lyn Doppler and Terry O'Connell are leadership examples of how as a whole school community, students staff and parents learnt to use restorative and alternative to violence language and practice to relate, think and learn together." 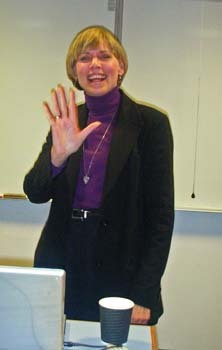 • Linda M. Hartling, Ph.D., Director of HumanDHS. 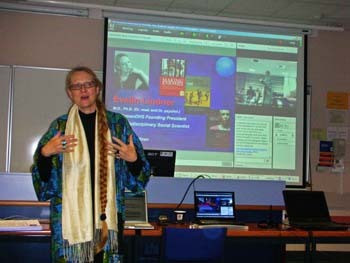 She is also a Member of the HumanDHS Global Advisory Board, HumanDHS Global Core Team, HumanDHS Global Coordinating Team, HumanDHS Research Team, and HumanDHS Education Team. She is the Editor of the Journal of Human Dignity and Humiliation Studies (JHDHS). This talk has two parts, as they relate to Evelin's two roles. 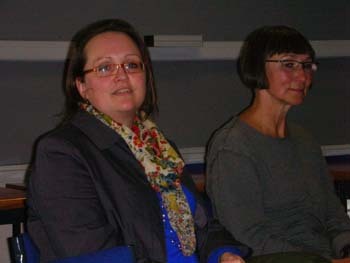 Her first role is to be the principal convener, together with Linda M. Hartling, of this conference and our overall HumanDHS network. 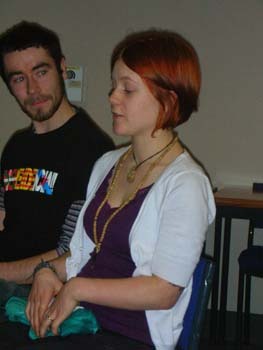 Her second role is to be one HumanDHS researcher among many. Respectively, the first part of her talk addresses the overall aim of our HumanDHS work (see here a transcription), while the second part gives a very brief introduction to her theory of humiliation. 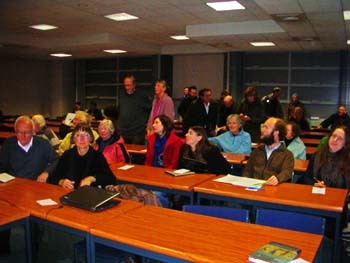 The second part of this talk addressed the massacre that had occured in Norway on 22nd July 2011, less than a month after the World Dignity University initiative was launched there. The paper is titled Terror in Norway: How Can We Continue from a Point of Utter Dispair? Promoting a Dignity Culture, not Just Locally, but Globally. - See, furthermore, Dignity or Humiliation in Economic and Monetary Systems: Can We “Occupy Wall Street” and Transcend the Old Cs (Communism and Capitalism) through Economic Systems of True Inclusion? What about Inclusionism? Or Dignism? 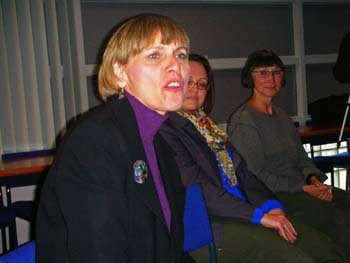 Our Open Space Sessions are always facilitated by Linda M. Hartling. Please read here more about this approach and what it entails. 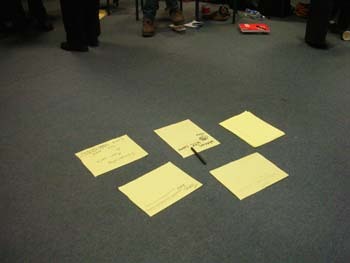 Open Space means developing the programme of the conference on the first day. See further down a list of topics that had been proposed prior to the conference. The topics of particular relevance for NZ, include: the sources of domestic violence, child abuse and school bullying, adolescent transitions, youth suicide and violence, safety in the workplace and the family-worklife balance. For example, the NZ Government has just released a Green Paper on vulnerable children, and this conference provides an opportunity to discuss new ideas and approaches with experienced international experts who are dedicated to advancing human dignity.  Appreciation: How can we actively support each other, especially when our social environments are unsupportive , by Uli Spalthoff, Linda M. Hartling, Evelin G. Lindner. Like: "Brian Ward, to all of us, is 'the Sir Edmund Hillary of Positive Futures.'" Tony Webb conceptualizes "humiliation at the more intense end of the shame spectrum (humility at the other end – all sharing elements of the same affect/body language) but critically humiliation has elements of being imposed on me by other – whereas modesty shyness embarrassment and much of shame is internally generated – something I do to or at least can accept for myself - and hence have power to make changes around – rather than feeling powerless under humiliating circumstances. The other factor that is useful in distinguishing these feelings across the spectrum is duration – I may have a tendency to being embarrassed (personality) but the actual feeling of this in any given instance is relatively short duration - feelings of humiliation (and guilt) tend to be longer lasting." This session is exploring within a frame of appreciative inquiry what others make of the various ideas. See, for example, "How the Human Rights Ideal of Equal Dignity Separates Humiliation from Shame" by Evelin Lindner, in Journal of Human Dignity and Humiliation Studies, 2007 Please see the first draft here.  Francisco Gomes de Matos gifted a poster on compassion and dignity to this conference! Is it the ultimate divine blesssing we seek? Is it on the road to COMPASSION to walk? Is it from receiving to self-giving to exchange? Is it the most spiritually-inspiring kind of Book? The Castanheiras of Eldorado dos Carajas 1999 (10m x 15m x 25m), please click on the picture to see it larger. Daniel Baron Cohen (known as Dan Baron in Brazil) is a playwright, community-based arts-educator and cultural activist, presently living and working in Marabá, in the Amazonian state of Pará, northern Brazil. He studied English Literature at Oxford University where he did doctoral research into theatre as popular education. 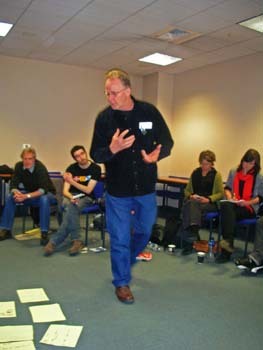 After a decade of community theatre and mural collaborations dedicated to conflict transformation and social justice with excluded communities in Manchester (Northern England) and Derry (North of Ireland), in 1994 Dan accepted a permanent post in theatre and popular education at the University of Glamorgan, in Wales. He left Wales in 1998 to collaborate as a Visiting Professor at the State University of Santa Catarina and has been collaborating with communities within the Landless, Indigenous, Trade Union and University movements of Brazil ever since. His Pedagogy of Transformance emerged through these collaborations and dialogues with other cultural movements in Asia, Africa, Latin America and Europe. 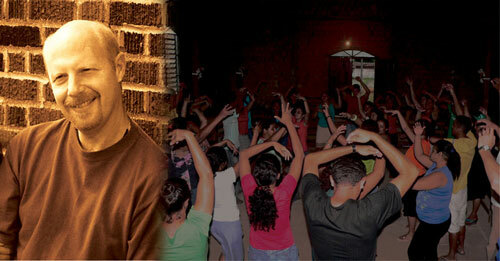 Two national awards in 2008 and 2010 from the Ministry of Culture and a national UNICEF award in 2011 allowed Dan to accept an invitation to live and collaborate with the Afro-Indigenous community of Cabelo Seco ("dry hair"), founding community of the city of Marabá, in the quest to develop sustainable communities through living popular culture. 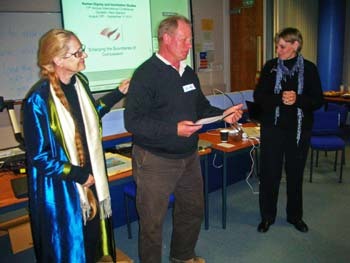 "The conference takes place during my final 5-day period of intensive writing (and type-setting of my new book 'Harvest in Times of Drought: a pedagogy of life for sustainable community', written with 50 rural, riverside and forest arts-educators), but I would like to make myself available for 90 minutes, if that works for you. 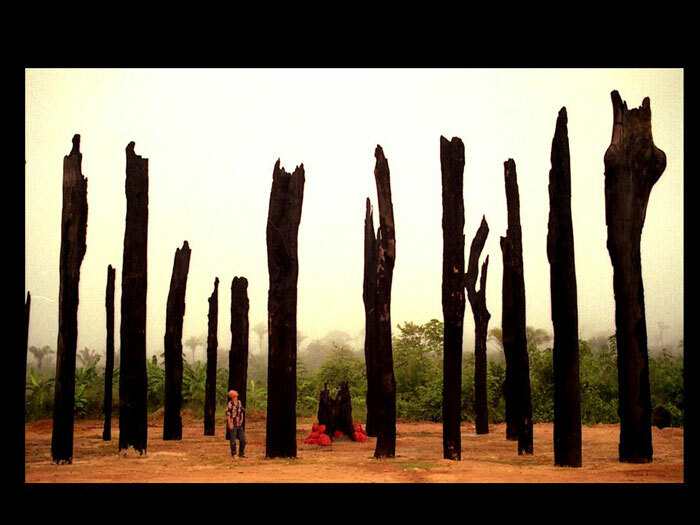 Is there a definite open or closed space where I could share reflections on what we have learned from arts-based pedagogical work in response to the destruction of the Amazonian forests? I could speak very concretely on how a group of 50 teachers transformed a culture of collusion into an community-based ethics of co-responsibility, based on reflexive solidarity and cooperation. This could also connect to our response to the assassination of our student/grandmother/eco-pedagogue Maria Silva (on May 24). 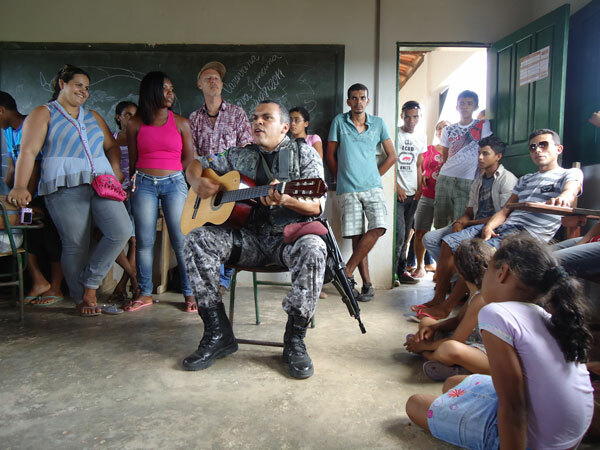 Alternatively, or within the same contribution, I could speak about our work with young people as cultural organizers and artists, transforming themselves, to transform their own afro-indigenous community, one of the poorest and allegedly most violent in Maraba, cradle of the 'industrialization of the Amazon'." Michael Britton , please click on the picture to see it larger. Concerned with integrative thinking across neuroscience, in-depth psychotherapies and historical/cultural living, Michael's work looks at how participation in the historical life of our times and interior life are deeply intertwined. 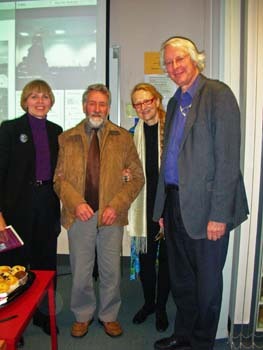 His earlier research looked into experience by US military in planning and commanding nuclear weapons in the Cold War; kinds of parenting that help children grow to do well in love as adults; kinds of parenting that make it harder for battered women to take action on their own behalf; and psychological attitudes towards existing and hoped for worlds reflected in traditional, modern and postmodern architecture. Michael provides workshops for therapists to think about mature love and how patients are helped to get there within themselves, within relationships, and in their co-responsibility for sustaining love in the larger world. He is very concerned with supporting a culture of appreciation for what we can learn from each other, i.e. open societies rather than totalitarian, as the basis for global life. He is currently focused on the demands for psychological adaptation posed by global life and is working on two writing projects that invite taking up those challenges. The first is on weapons of mass destruction and the psychological challenges involved in creating global safety. The second is on understanding what global life requires of us as illuminated by understanding the human brain's place in evolution, its multi-layered inclinations for rendering history in the present, and the choices among those inclinations that we face as we go about the business of everyday work as adults in the institutions of our societies. • Please click on the pictures here to see all the photos of Day Two from Evelin's camera.  9.45 am A visit to the local Te Runaka o Otakou Marae (Maori community house) - we thank Janine Karetai, CEO at Te Kahui Matapopere, and her colleagues, for their wonderful hospitality! The day after Anzac day, on Thursday, the 26th of April 2012, 20 people from the Centre visited Visiting Puketeraki Marae at Karitane and stayed overnight there. 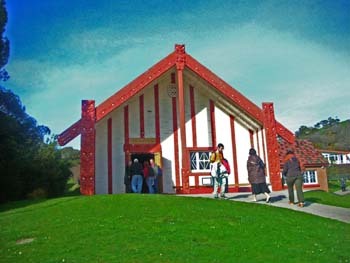 Marae are Māori community facilities that usually consist of a carved meeting house, a dining hall and cooking area and the marae ātea (sacred space in front of the meeting house). 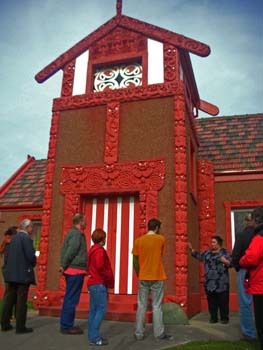 Marae are symbols of tribal identity. 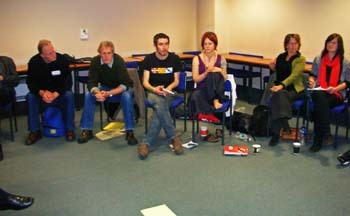 They are meeting places where people can discuss and debate issues. 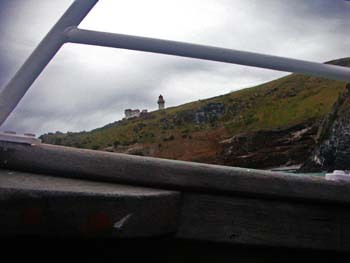 Marae are considered by Māori as tūrangawaewae - standing places, places of belonging. 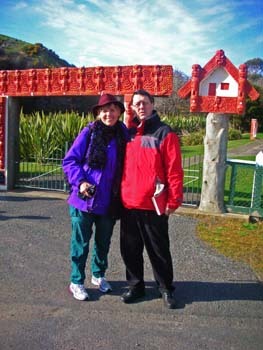 We arrived at the Puketeraki Marae by 2pm. Hather picked me up in her car. We were welcomed on to the Marae with a powhiri (formal welcome ceremony). 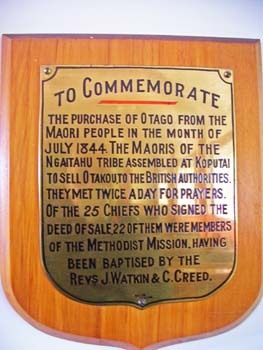 The tangata whenua (local people of the marae) initiated the pōwhiri by issuing a karanga (formal welcoming call). We had beforehand organised a kaikaranga (response to the call of welcome) led by Rosemary and sung in Māori. It is part of Māori culture to sing a lot. Before and after each speech there have to be waiata (songs) to support the speaker. This is the sheet music of the waiata which we sang at the powhiri. The Māori lawyer Maui Solomon who is closely connected to our Centre delivered the whaikōrero (thanking for the inivitation)on behalf of our group and then delivered koha (a donation of money placed in an envelope) to be given to the people of the marae. 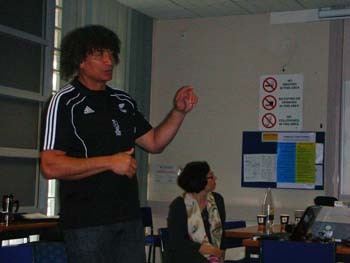 Kevin then gave a speech starting with a couple of sentences in Māori which he readout and then switched to English. He ended his speech by deliverig another koha from us. Before a most delicious home cooked meal a Māori woman told us something about Māori customs. The Māori language does not have any word for enemy (the Eskimos have no word for war). The closest one comes to enmey is to say “an angry friend” or “a friend with whom there are disagreements”. 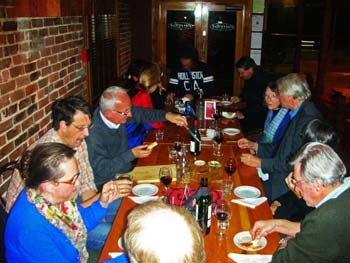 After the nice meal the lawyer Maui Solomon from the Hokotehi Moriori Trust spoke about the Moriori a totally peaceful tribe that lived in peace for 500 years on Chatham islands. When they were attcked by another Māori tribe and the young men wanted to fight bak, the elders forbid them to do so. They were killed and the grandfather of Maui Solomon is said to have been the last Moriori living. When he died, it was claimed that the tribe was extinct along with its language and culture. This is also what it says in history books and the Kiwi have learnt. But descendants of the Moriori are claiming their history, land and culture back. 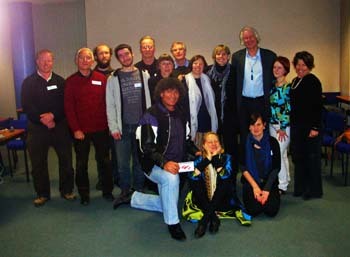 Some years ago hundred of them gathered and organised themselves in a Moriori Trust. A couple of years ago the Moriori Trust counted more then 1000 members. Now they are mare than 3 000. Maui Solomon said that they were bent on restore their culture and heritage. They wanted to show the world than non-violence wins in the end. If you wish to learn more about the overall aim of the HumanDHS work, please read a transcription of Evelin's explanations that were part of her introductory presentation this morning. If you wish to see a brief introduction to her theory of humiliation, please see the first issue of the Journal of Human Dignity and Humiliation Studies, March 2007. Sydney, Australia. Holistic Law Approach to Indigenous Incarceration: Cultural Cognitive Restructuring and Restorative Justice Practices is an article that was written by Michelle Brenner with acknowledgment to Carmen Hetaraka for insights and correct use of Maori language. Acknowledgment and gratitude to Kauila Clark and all the active bearers of Hawaii for their service and practice in traditional Ho'oponopono. Published by Mediate.com, republished here with the permission from the author. 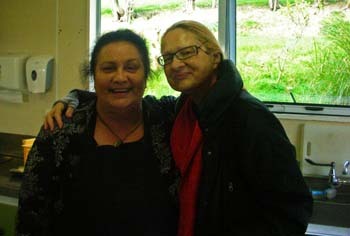 Carmen is an active bearer of Ho'hourongo traditional Maori Conflict Resolution. For more than 25 years, Taura Carmen Hetaraka has applied his extensive knowledge of tikanga in developing programmes throughout the social and criminal justice sectors. 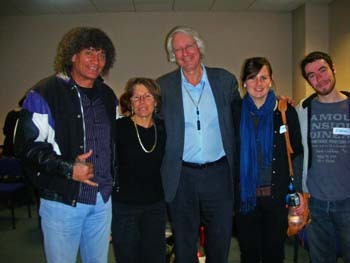 In 2002 Carmen was one of two nationwide delegates representing New Zealand on an International Cultural Advisory Committee for „Healing Our Spirits: World-Wide: Indigenous Drug and Addiction conference in Albuquerque, New Mexico. 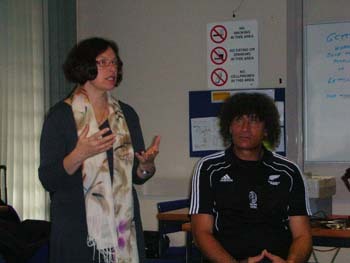 Carmen is a fluent speaker of Maori and has developed a number of indigenous based programmes that are applied within a number of New Zealand Prisons and schools. Furthermore, Carmen is the core cultural expert - working with several native Hawaiian organizations in developing, implementing, and evaluating a cultural education curriculum based on Hohourongo (Ho’oponopono). All these experiences led me to change my vocation from a laid-back, subsistence lifestyle of sail making, fishing and growing my own food on Bruny Island, Tasmania, to community work in nearby Hobart. Following some re-training I began with men’s family abuse group work, and discovered the sector was hampered by an inadequate working theory of the social problem. This led me to to a coursework Masters in Criminology and Corrections, within which I was able to develop and hone my own approach to various social conflicts. My research project focused on school conflict and proposed a peacemaking approach to what are generally viewed as ‘student behaviour problems’ (often in fact institutional behaviour problems!) In the midst of these studies I worked in a ‘home and school support’ program for boys having trouble with school and initiated a two-worker conflict resolution model for the agency that employed me. The respect accorded to all parties in this approach could work wonders, if not blocked by institutional inertia. A high mark for my research report won me a scholarship for my current PhD, which has developed into a study of the humiliations of inequality in a community setting. And so here I am! • James Njenga introduced himself (2nd December 2010): "Being brought up in a religious and humble background buttressed my belief in inspiring and aspiring for a better tomorrow... I cherish intergrity and as a practical being, I pursue challenges to logical conclusions. It is my compassionate nature and desire to share that propels my goal for a better tomorrow and the best possible future." • Richard Evanoff teaches International Communication in the School of International Politics and Economics at Aoyama Gakuin University in Tokyo, Japan. He holds a Ph.D. from the Institute for Environment, Philosophy, and Public Policy at Lancaster University in the U.K. His main research interest is intercultural ethics and how dialogue on environmental and development issues can be effectively conducted across cultures. 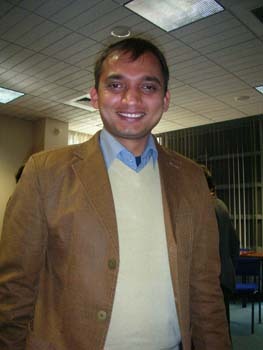 He was a speaker at the U.N. Conference on Dialogue Among Civilizations in 2001. His publications include "Universalist, relativist, and constructivist approaches to intercultural ethics" (in the International Journal of Intercultural Relations 28, 2004), Thinking About the Environment (Macmillan, 1996), and Bioregionalism and Global Ethics (Routledge 2011). He formerly served on the staff of Japan Environment Monitor, and continues to be active in various NGOs and grassroots organizations concerned with social and environmental issues, including Friends of the Earth Japan. • Echiko Evanoff is a painter and artist, who also teaches English and intercultural communication at Tokyo Jogakkan College and Teikyo University in Yamanashi Prefecture, Japan. She holds a Master of Fine Arts degree from East Tennessee State University, an M.A. in art theory and art history from the University of Leeds in the U.K., and has done post-graduate studies at the Chicago Art Institute. Her paintings have been exhibited in the U.S., the U.K., and Japan, including a display at the 49th Peace Exhibition at the Tokyo Metropolitan Art Museum in Tokyo. 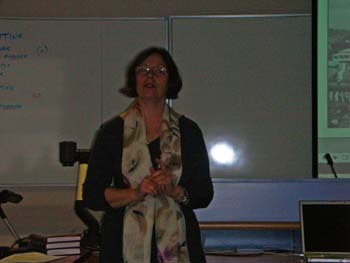 Her publications include "Preparation for IELTS (International English Language Testing System)" in IELTS: Methods and Study Techniques (Aruku, 2006). Paper prepared for the 17th Annual Conference of Human Dignity and Humiliation Studies "Enlarging the Boundaries of Compassion," in Dunedin, New Zealand, 29th August - 1st September 2011. Abstract prepared for the 17th Annual Conference of Human Dignity and Humiliation Studies "Enlarging the Boundaries of Compassion," in Dunedin, New Zealand, 29th August - 1st September 2011. 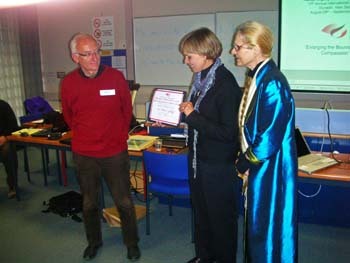 Submission shared at the 17th Annual Conference of Human Dignity and Humiliation Studies "Enlarging the Boundaries of Compassion," in Dunedin, New Zealand, 29th August - 1st September 2011.